During the last few years, I have discovered in Super 8mm a world of possibilities very unique and profound. By way of pushing the format and camera to its mechanical limits I’ve found that Super 8mm can be turned into a medium surprisingly flexible and infinite in terms of shooting and (especially) in-camera editing. It is certainly an art form that fits what poet Eileen Myles once labeled as “pathetic technologies”: tools perhaps too simple, obsolete and/or outdated but through which it is possible, nonetheless, to explore the limits of the imaginable. 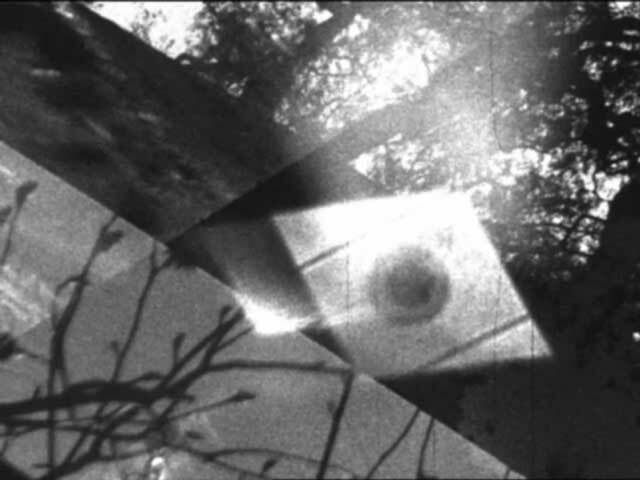 Films to screen include Resistfilm, a complex medley of elaborate superimposed homages to early avant-garde landmarks and wild landscapes of the 21st Century; Denkbilder, an international travelogue fusing Buenos Aires and Berlin, and other travelogues Diario Colorado, Carta austral (“a dark map of southern introspection”); 1640, “a lightning landscape”; and other films including xoxo, 4×4 and the complete Untitled Trilogy. Pablo Marín was born in 1982 in Buenos Aires, Argentina. Besides teaching and writing on film, Marín is a film/video curator, translator and filmmaker. His films have premiered at International Short Film Festival Oberhausen, International Film Festival Rotterdam, London Film Festival, TIE (USA), Austrian Film Museum, Anthology Film Archives (USA), Starting from Scratch (Netherlands), Millennium Film Workshop (USA), Pleasure Dome (Canada), Malba (Argentina), Avanto Festival (Finland), no.w.here (England), Pacific Film Archive (USA), Buenos Aires International Independent Film Festival, The 8 Fest (Canada), Onion City Film Festival (USA), $100 Film Festival (Canada), The FLEX Fest (USA), Chicago 8 Fest (USA) and Museum of Modern Art of Buenos Aires (Argentina), among others. In 2009 he was invited as visiting artist to FAC’s Found-footage Workshop in Montevideo, Uruguay, and as filmmaker and lecturer to the exhibit Displacement: Cinema out of site, Gallery of Contemporary Art, University of Colorado at Colorado Springs.